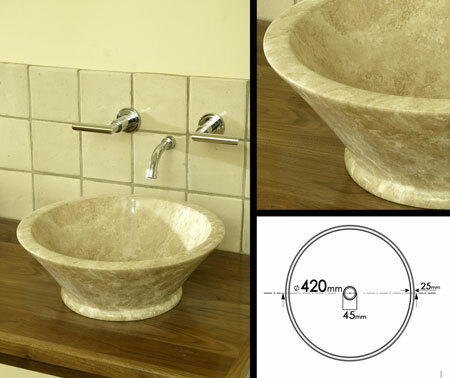 This creamy beige stone sink has been carved out of solid European travertine. The stone basin has then been polished to give an attractive satin polished finish. Made of a consistent natural stone, but no two stone basins are the same.